Weird. Traffic Bump just an hour ago from France. I don't mind the statistics much, but the sudden bounce in views that don't link to a specific blog entry, and are coming from overseas, and are using proxy IPs for anonymous connections, kinda makes me wonder if my site's getting hacked or used without my knowledge somehow. I'm not seeing any odd posts, or edits, or any spammer comments like I got back in 2010 from China. Good Lord, I got Chinese spam that I could not read so I didn't even know if they were trying to reach me or leave some weird code for other people to read. Ever hear about Number Stations? They're these shortwave radio stations that only enthusiasts and spies listen to, and sometimes there's coded messages and stuff, and maybe this is some Internet based Number Station deal where they identify some low-traffic innocent bystander blog site and use it for codes and warnings and stuff. Oh My God, my blog could be getting set up by... by... what's the French equivalent of the CIA?! Damn. I'm getting abused by the DGSE, I know it! ...Okay, if French intelligence is using my blog for coded traffic, they better compensate me by buying my ebooks. And leave reviews for them on the retail sites! Five stars, across the board dammit. If the Chinese intelligence is using my blog, though, uh-uh, no way, not unless you confirm Tank Guy is okay and safe and stuff and you agree to allow multi-party candidates in your next election cycle. (Update) My Horde allies are telling me this is common: spam bots creating traffic. I should name my spam bots Coneheads because they come from France...! One of my upcoming computer classes at the library is going to be on social media. We still get patrons who are confused about certain media outlets such as Facebook and Tumblr and Twitter and Pinerest. The class will cover some of that. I'll also be going into blogging as well. I've seen a few "Blogging Is Dead" articles online, which may sound like it's a fad that's passing into history, but I would disagree. The blogging they're talking about is the paid-for professional bloggers, the media commentariat you see cross-pollinating on television and magazines and radio. Many of them are opting out because of the time constraints and external pressures that blogging creates for them. For the regular public, however, blogging still has its uses. There are still social groups that can share information through a blog, track events, promote themselves or others. There are still individuals marketing themselves as artists or professionals seeking clients or audiences. There are local businesses who can use the effective page creation tools to set menus and directories of information, and maybe indulge in running diaries of projects or flights of whimsy related to their community/marketplace. It's just when I teach this class I won't be using Blogger. Sorry guys, I'm only here because Blogspot was cheap and easy back in the day before it merged with Blogger. I'll be teaching WordPress instead because it offers a slightly easier Comments setup for people to install. Just released this week! Woot! The local writers group - Writers 4 All Seasons - tried out a group project this year: collecting our own short stories and publishing them to a themed anthology. 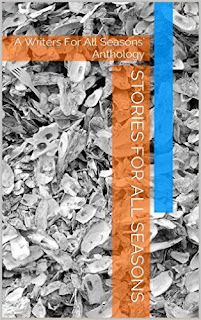 Stories For All Seasons collects each tale in a chronological order - by season, by month - that provides a sense of scenery, of mood, of time and place. My submission "Where the Snow Is Grey" is towards the end, as it's set around the Christmas holidays. The title itself comes from a mondegreen of sorts: I misheard the first few lines of Tori Amos' "Winter" song and... well... from the title came the story idea. It's only available as eBook as this is a small writers group and we are but humble wage-slaves unable to afford actual print publishing. Currently it's Amazon Kindle only, but I'll see if we're getting an EPUB variation out as well. 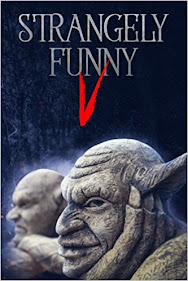 Update 8/20: I've been told that our publishing arrangement with Kindle has it so they have exclusive rights for a few months, so we won't see an EPUB version for about six months perhaps. For myself, this is a new publication release for which I am feeling the usual buzz of "oh yeah I made it". I think for some from the writers' group, this is their first publication of any kind, I think they're through the roof. If any visitors here want to download the anthology, please do. All I ask is that you leave a review on Amazon, which will help promote the book. And if you like what the other authors wrote, please follow-up and see what else they've got on market. Thank you! 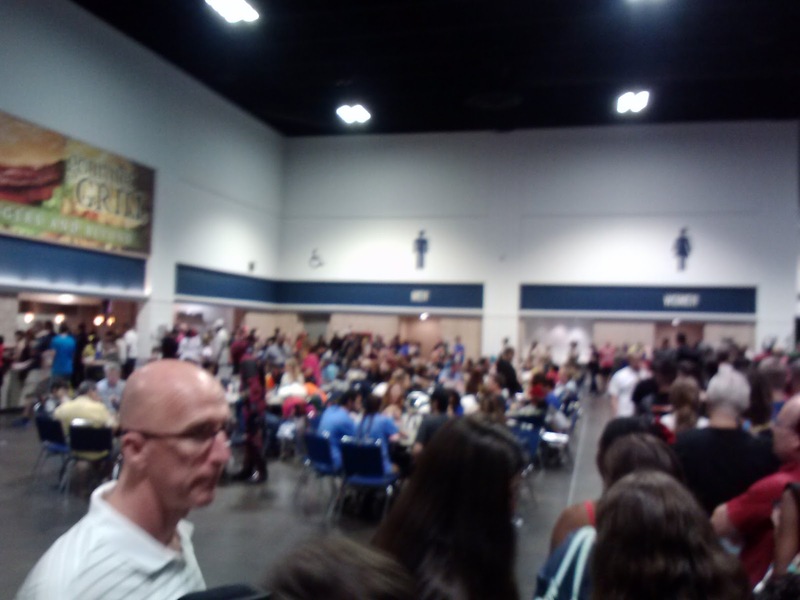 Cross-Post: I Survived the 2015 Tampa Bay Comic Con, And My Nephews Survived It Too. Sharing over to the entry I wrote at the other blog I run. Link here. The food lines got packed after noon time, partly because it started raining heavy, like a wall of rain, around the same time. It kept raining well into 4 pm, and there were reports of flooding on certain streets in the downtown area.